If you’ve ever had an injury or suffered from pain, numbness or other symptoms in your extremities, you know just how negatively it can affect your quality of life and ability to work. We get it. We’re here to help. 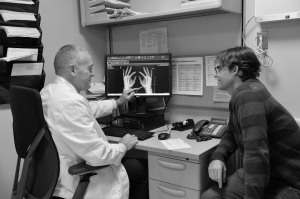 With two locations in New York City, we are committed to providing the best possible care, personalized treatment, an accurate diagnosis and appropriate, effective treatments, both surgical and non-surgical. Our entire team is dedicated to getting you back on track and pain free.